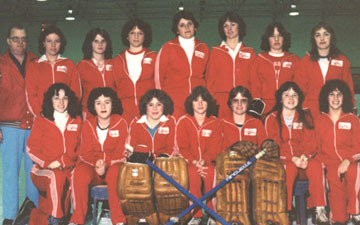 The first annual Calgary Ringette School, sponsored by the Calgary Booster Club was held August 7 – 11, 1979 at the Norma Bush Arena. It was organized by Frances Willis and included the following instructors: Howard Hesjedal, Gerry Zuk, Claire Lukey, Elaine Lukey, Jack Lukey, Karen Coty, and selected Belle aged players. 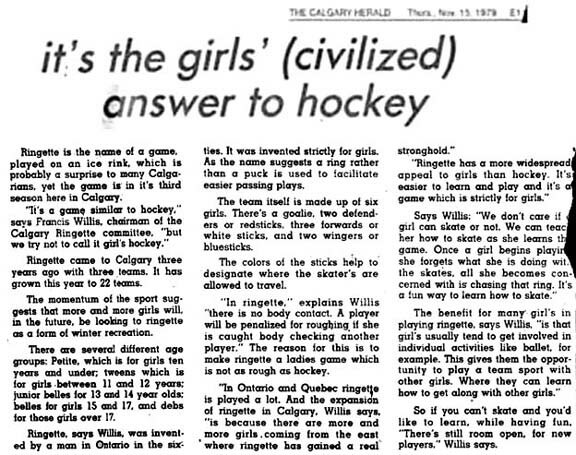 In June of 1979, Calgary Ringette became a member of the Ontario Ringette Association. A referee clinic was held on November 3, 1979 at Triwood. Approximately 300 girls (22 teams) were registered with Calgary Ringette.